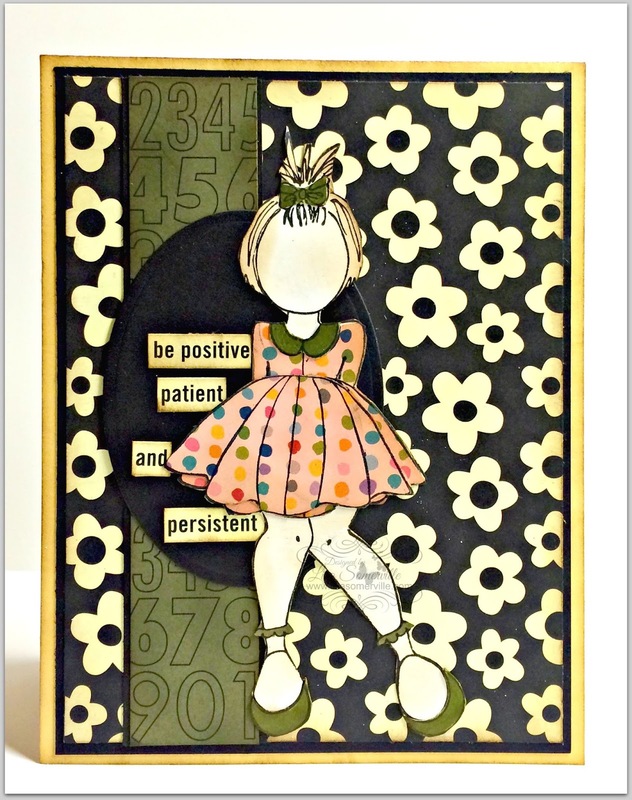 Today, I'm sharing a Card Tutorial using using the eBrush, along with products from Bella BLVD, Spectrum Noir Markers and a Julie Nutting Doll Stamp. Using the eBrush with the Spectrum Noir Adapter, add color the pattern paper as shown, completely covering pattern paper. If desired add other hues of color for dimension. Add additional coloring to the other pattern papers you plan to use. Stamp image onto White card stock and cut out. Stamp image onto the pieces in which you would like to paper piece, then cut out and adhere in place. Continue paper piecing as desired. Place images onto background panel and use as desired. To finish my card, I stamped the Julie Nutting Doll image onto White card stock, then paper pieced her dress with Bella BLVD Just Add Color Daily Details pattern paper. As you can see, I used the eBrush to add color to the pattern paper. The shoes and bow were paper pieced from scraps of the sticker sheet, that were ebrushed in Green. The sentiment is also from the Bella BLVD White Little Bits Stickers. She is so very adorable! Love all the elements, perfect!